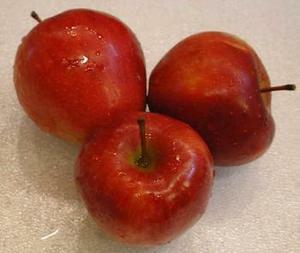 Apples are part of the biosphere. The apple tree grew from a seed, requiring water, carbon dioxide, solar energy, and certain nutrients. The water came from the surrounding environment, the carbon dioxide from the air, and the solar energy from the sun. What is not immediately apparent is where did the nutrients come from. Every product of nature, be it fruits, vegetables, or fiber, has a certain requirement for nutrients. These are the chemical elements that are needed, of a specific type and quantity, in the construction of the various products of the biosphere. Macronutrients are required in relatively large amounts, macrominerals in lesser amounts, and micronutrients in much lesser amounts. The macronutrients are nitrogen, phosphorous, and sulphur; the macrominerals are calcium, magnesium, potassium, and sodium. The micronutrients are boron, chlorine, cobalt, copper, iron, manganese, molybdenum, and zinc. The construction of the biosphere cannot proceed without sufficient quantities of water, carbon dioxide, solar energy, and nutrients. Water is limiting in arid and semiarid environments, so humans have learned to transport it to places where it is scarce. Carbon dioxide is usually not limiting, since it is a constituent of the atmosphere, with a concentration of 0.038%, or 380 parts per million (ppm), from where all plants can avail themselves from it through photosynthesis. Solar energy is primarily a function of latitude and season; tropical, subtropical, and even temperate latitudes can usually count on sufficient quantities of solar energy to support plant growth. The mystery are the nutrients. Which ones are needed, in what quantities, and where do they come from? The answers to these questions belong to the science of agronomy. In practice, the nutrients are either native or imported. Soils that naturally have an array of available nutrients in sufficient quantities to support plant growth are said to be fertile. Conversely, soils that do not have a good supply of nutrients are usually improved, i.e., made more fertile, by the addition of imported nutrients (fertilizers). Native nutrients originate in the soil and parent rock. To use the nutrients, the plants engage in symbiotic relationships with their own root fauna, a process referred to as "bioturbation." The objective is to accelerate the process of making these nutrients available for uptake. Weathering is an intrinsic part of this process. In this way, the plants are able to extract the native nutrients and use them in their physiological needs. In practice, the actual supply of nutrients, in type and quantity, may not match the demand of the plant. If the demand for each nutrient exceeds the supply, the plant is unable to develop optimally; conversely, if the supply exceeds the demand, a waste or surplus is produced. Plants are generally able to use most of the native nutrients that become available through weathering and bioturbation. There are two notable exceptions: sodium (Na+) and chloride (Cl-), or the latter's common elemental form, chlorine (Cl2). Plants do not need sodium. Chlorine is a general biocide, which means that it will kill all life if applied in sufficient concentration. Therefore, the ions of sodium and chloride, which together constitute the mineral sodium chloride (Na+Cl-) [halite], exist in nature in quantities far exceeding their actual need. Sodium, chloride, and other surplus ions of calcium, sulfate, and bicarbonate, among others, move from lithosphere to hydrosphere and are carried off by surface runoff, eventually joining streams and rivers on their way to the oceans. Over the course of millennia, this natural waste elimination system has resulted in the oceans becoming saline, with 3.5% of salts by weight (35,000 ppm), of which the majority, or 86%, is ions of sodium and chloride. The disproportionately high percentage of sodium and chloride in the oceans may be attributed to the fact that marine life is responsible for the precipitation or removal of calcium and other ions, but not of sodium and chloride. There is no known biological process that removes the element sodium from the oceans. In addition, sodium chloride has a high solubility, as compared to most other salts. Freshwater has a finite background salinity level of less than 500 ppm. This fact helps explain the "sink" theory of the oceans. Throughout geologic time, probably for several hundreds millions years, salt ions have been transported from the lithosphere, where they originated, to the hydrosphere, to constitute the dissolved solids of ocean water. Some of these salt ions manage to become airborne as constituents of aerosols, enter the atmosphere and recycle back to the terrestrial hydrosphere, but these quantities are, in all probability, relatively small. To feed increasing populations, humans have developed hydraulic systems to move the water to where it is in short supply. The idea, practiced by many civilizations, both ancient and contemporary, is to move the water and make it available where it is needed. The water transport is referred to as "hydraulics" and its delivery to croplands, "irrigation." Irrigation differs from rainfed agriculture in that it is anthropogenic, i.e., artificial. Only recently we have fully realized that in moving the water from one place to another, we are also moving the salts that are contained in the water. They are small amounts, typically only about 300 ppm, which justifies the reference to irrigation water as fresh water. Yet through evapotranspiration, irrigation uses only the water, leaving the salts behind, eventually requiring salt management and disposal. Invariably, irrigation leads to an increase in onsite salinity. When this is coupled with deficient drainage, the stage is set for an environmental disaster: Too much water and/or too much salt will degrade ecosystems and eventually result in specialized saline ecosystems, which are dominated by salt deposits and consequently, salt-tolerant flora and fauna. To remove the salts during irrigation, there is a need to apply water in excess of the consumptive use. The excess water applied is referred to as the "leaching fraction." This practice leaches the salts out of the root zone and creates a return flow or drainage water, which needs to be managed carefully because of its increased salinity. The sources of salts in drainage water are varied. 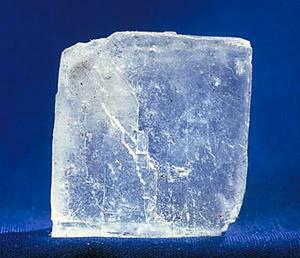 The salts can be old or new, and they can be natural or artificial. Old natural salts are those that are already present and potentially mobile in the soil profile and parent rock material prior to irrigation. They are usually of geological, typically marine, origin. New natural salts are those ions or compounds that are originally embedded within the soil structure. They become newly available to the plants through weathering and bioturbation and are subsequently released as waste [because the plant does not need them in the quantities in which they are available]. Old artificial salts are those that come with the irrigation water. Irrigation water is typically fresh, with salinity concentrations less than 500 ppm. However, in cases of drainage water reuse, the irrigation water can have concentrations in excess of 1000 ppm, and in certain extreme cases, more than 5000 ppm. Therefore, the quality of the irrigation water determines the extent to which salinity can become a serious management problem. New artificial salts are those added to the soil for the purpose of improving its fertility. When the quantities applied are in excess of the actual requirement, a certain amount of these salts will be leached and transported off-site, depending on the irrigation practices. This is sometimes referred to as "non-point source" agricultural pollution. The price to pay for an apple, watermelon, or any other food or fiber product must include the cost of proper disposal of the iota of salt that was wasted during production. Ignoring the problem altogether invariably leads to unsustainability. 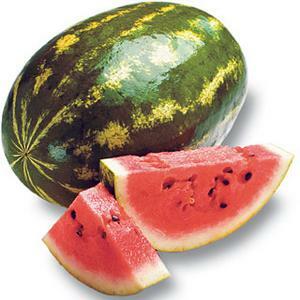 If the salt produced by an apple or watermelon remains in the soil, and it is not physically or mechanically removed, the soil will be eventually salinized and this will render future agriculture impossible. The process is slow, and may take years, decades, or even centuries, but it is relentless. Who should pay for the cost of proper disposal? Obviously it should be the person that eats the fruit. Those that are weary about this must be reminded that the alternative, i.e., not paying and not accomplishing the proper disposal, is unsustainable. Sooner or later, somebody will have to pay for the disposal, either in money or in kind, or else by giving up some usage. The solution to the irrigation/salinity predicament is ocean disposal, with or without pretreatment of drainage flows, however costly these undertakings may be. An alternative, to collect the salts in evaporation ponds, leaving them in the surrounding environment, is not sustainable because it creates salt areas where they did not exist before. Lack of proper removal or disposal will eventually multiply the salt-affected areas without limit. Ocean disposal is the only sustainable solution if the objective is to conserve areas where food and fiber can be grown productively.